The classic Pisco Punch is given a French twist by bartender Gabor Omufer at Vivek Singh's Cinnamon Club. It carries a refreshing fruitiness, with a hint of spice crowned with the anise notes of Absinthe. 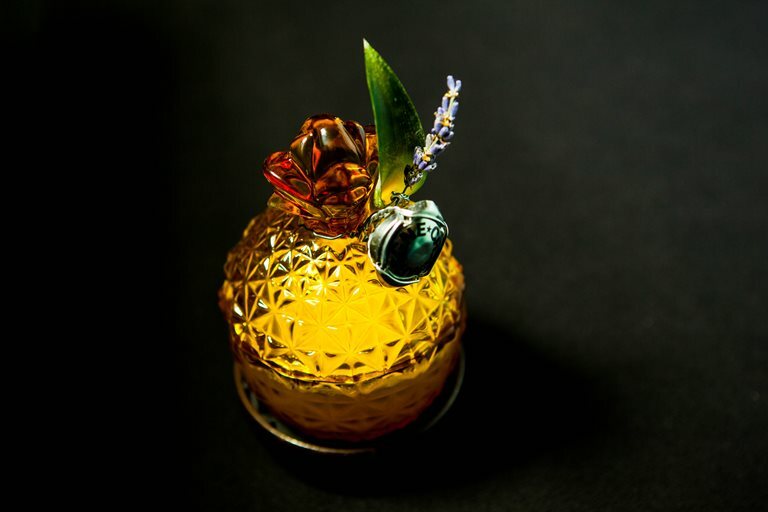 Place 20g (1 heaped tablesoon) of the pineapple compote in a shaker along with the Pisco, lime juice, chartreuse and absenthe.